オリジナルグッズ Original Goods | CLUB RIO - 馬と人の居場所。A playground for both horses and people. A portion of the sales proceeds from the original goods will be donated to feeding the horses and upkeep of the stable facilities. We appreciate your support greatly. Thank you. Please contact us at CLUB RIO for purchase. 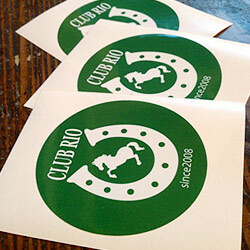 Logo stickers of CLUB RIO. It is said that the shape of the horseshoe brings you happiness! 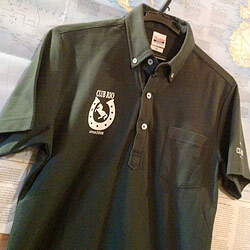 Polo shirt with buttons, in CLUB RIO's theme color; deep green. 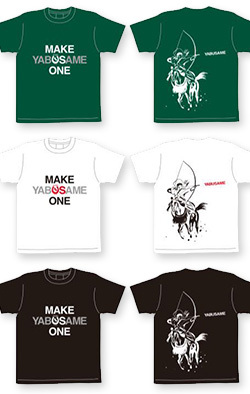 For the 10th anniversary of the RIO foundation, we have made original T-shirts with Yabusame illustrations on the back. We hope to promote unity and peace through Yabusame. Also we have used our logo mark, U as a symbol of our wishes. 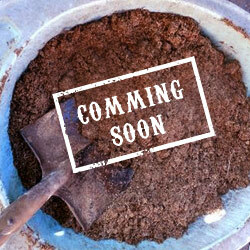 Utilizing composted horse manure as a plant fertilizer. Still at the prototype stage. Good for keeping horses healthy! 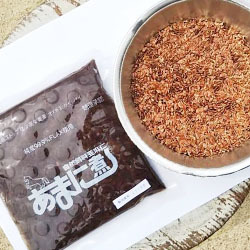 This is linseed boiled with brown sugar. Thanks to this linseed, our old MAX got better and overcame summer heat fatigue!